A mod rocket called 130 Ton Lifter. Built with 96 of the finest parts, its root part is decoupler1-2. This is the start of a series of craft that has been the backbone of my modded play through this is the newest in the line. 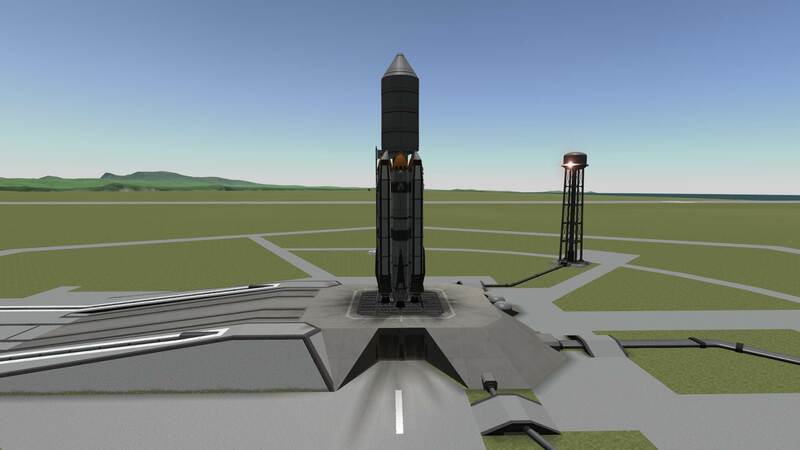 Taking 130 Tons(confirmed) to orbit with only the SRB’s and fuel wasted I have tested it relentlessly with the full payload it will do a parachute landing if its 100 tons or less it can do full powered landing. When deorbiting aim the blue line in the middle of the ocean to the right of kerbin with areo braking and a bit of thrust you will use to keep the engines from over heating will put you next to KSC.